THINKING OF SELLING THIS SUMMER?? The Christina Jones Team just got this home under contract in less than THREE DAYS and OVER LIST PRICE with our fantastic marketing plan! Let us put our knowledge and skills to work for YOU to net you the most money…after all that is what you deserve! Enter your information on the side of this page to get in contact with us TODAY! 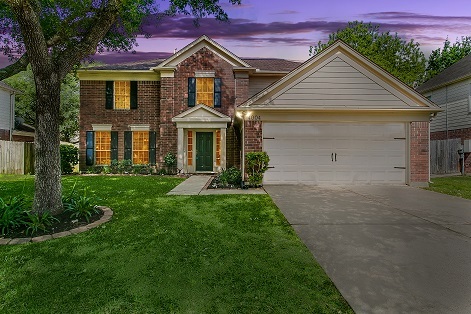 Beautifully updated two-story home in Springfield in the heart of Pearland. Sitting in a great neighborhood with a large backyard. This home features four bedrooms, including an expansive master bedroom and bathroom, a large secondary bathroom and a fantastic half bathroom on the first floor, a formal living and dining room, a gorgeously updated kitchen with granite counter tops and travertine backsplash with lots of natural light throughout. Click here for more information, watch the virtual tour below then call us today at 281-698-7986 for your personal tour!